Starting on February 1st, 2018, the .NET Registry is increasing the price for all Registrars on .NET domains. As a result, the price for all new registrations, renewals, and transfers for the .NET TLD would be LKR 2,400. If you own a .net domain or plan on registering them in the future, you can manually renew before January 31st to take advantage of current pricing (including multi-year renewals). Special promo on domains extended! Yes, we have some huge give-aways for new domain registrations! 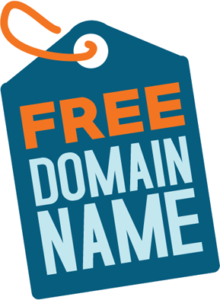 We are throwing in .info domains for FREE with any hosting package at Webvision. Rs. 500/1st year for .com, .org, .club and .online domains!! Note, this offer is valid for new domains only and needs to be coupled with any hosting account from Webvision. Obviously, it is not valid for premium domains. We have a special promo going on for just Rs. 500/1st year for .com and .net domains. If you sign up for an unlimited cloud hosting account, we will even throw in the domain for free! 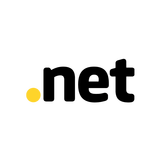 Verisign, the registry responsible for .net, has announced that it would be raising its annual costs for .net domain registrations, renewals and transfers on February 1st, 2016. If you’re reading this before February 1, we recommend registering or renewing .net domains for multiple years before the price goes up. That way, you can enjoy lower pricing on the long term. 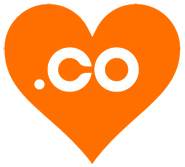 Here’s a sweet giveaway… For all those who sign up for a 500 MB (or higher) hosting account, you would receive a .co domain absolutely free. Note, this offer* is valid up to Friday June 26th, 2015 only. Go grab your free .co domain now by signing up for your reliable Linux hosting account today! * Offer not valid on renewals or premium registrations and offer valid till 5.00pm, June 26, 2015 – 5.00 pm Sri Lanka time. We are in the middle of the year. Already! The internet is always changing but the top choices for domain names aren’t going anywhere. .COM and .NET, powered by Verisign, are the global online standard. To commemorate the month of June, we are giving away .com and .net domains (1 year registration) for a low price of Rs. 1050 only. This offer is valid till Friday, 20th June 2014, 9.00 pm Sri Lanka time. Wait! There’s more… This offer comes with a one month of free hosting of 250MB as well and cannot be redeemed as a domain only offer. Here’s your chance to take advantage of some big savings on both extensions. Click here to register your domain. 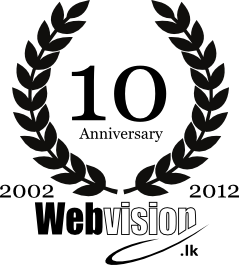 This month, Webvision turns ten years old. Ten years ago, I vividly remember working on a project using an assembled AMD PC. That too, from my bedroom! Ten years later and almost everything has changed. We spend more time doing work on Linux rather than on Windows. We have more satisfied clients from all parts of Sri Lanka and overseas and we have moved into a spacious office that overlooks a tea plantation. We have also shifted our focus from static web design to dynamic, database driven content management systems. So what has not changed? It’s Ella! The place in which we started our business in the hills of Sri Lanka. Many have asked us how we operate from here and reach out to the rest of the world? Let’s face it, we are doing business on the Internet and that makes the world a very very small place. We thank God for his guidance throughout these ten years. Thank you to our faithful customers – thank you for doing business with Webvision. Thank you for your patience and understanding and thank you for your referrals. We are truly grateful! As you may now be aware, the price of .com and .net domain names have increased by a small percentage since January 15, 2012. While some registrars are passing the exact price increase percentage along to clients, others use this as an opportunity to raise prices even higher. Right now, we are still offering our present clients the same price we charged for their domains last year but we would have to increase it slightly. I mean a wee bit okay? 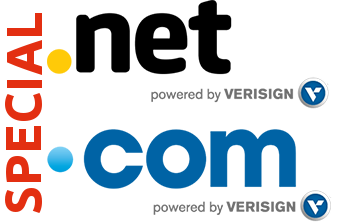 Verisign®, the registry for .com and .net domain extensions, will increase the prices of .net domains by 10% and .com domains by 7% on July 1, 2010. As a result of this price increase, we too are in the unfortunate position of having to pass on the increase to our customers. If you want to beat the price increase, it is a good chance for you to consider renewing any domains now that will expire before the end of the year. More importantly, if you have been considering purchasing a domain and starting a website, now may be just the right time. You can register your domain by first checking the availability of your domain. So many of our potential customers phone and ask us how to go about building their website. Some small businesses are even reluctant to get online because of the time or expense they believe is required. Let me tell you boldly: if you’re in business, you definitely need a website but it wouldn’t cost you the earth nor take up too much of your precious time! Hopefully, this article will convince you to get your business online without spending a lot of money or time. You are currently browsing the archives for the domain registration sri lanka category.